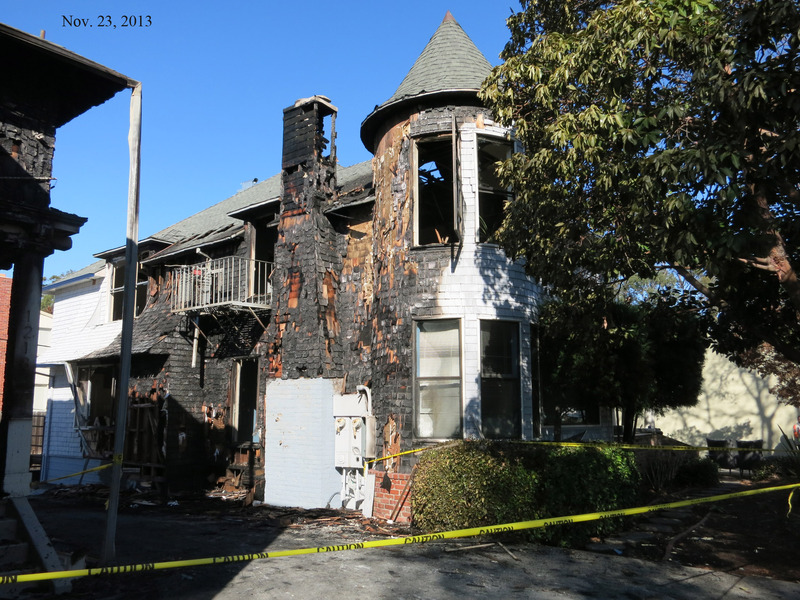 On November 23, 2013, the original home of George W. Gates at 1214 Donnelly was badly damaged in an early morning fire that originated and largely destroyed the neighboring vintage home at 1218. Born in 1874 in San Francisco, George W. Gates was a pioneer resident of Burlingame. After arriving in Burlingame in 1895, Gates became the town’s first postmaster and third stationmaster, and lived with his family in the railroad station’s south wing. Gates commissioned the house now located at 1214 Donnelly in 1901-2 after resigning as stationmaster. Originally located on Burlingame Avenue as one of only a handful of homes, Gates moved the house to its present location around 1917 to accommodate the growing central business district.